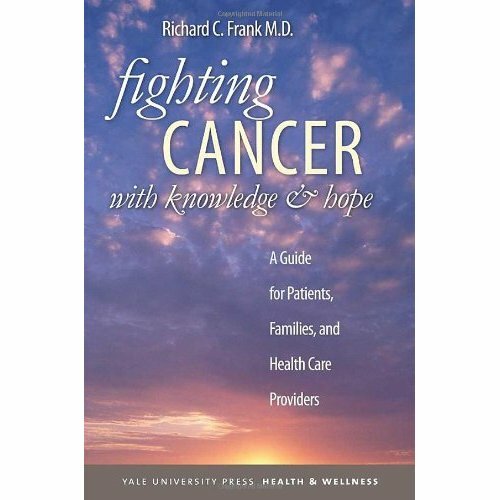 THE AUTHOR:Dr. Richard C. Frank, MD,an oncologist, is the Director of Cancer Research, Whittingham Cancer Center, Norwalk Hospital, Norwalk, CT, and Medical Director, Mid-Fairfield Hospice, Wilton, CT.USA. a) Although cancer appears to develop in an organized fashion when viewed from the outside, if we were to go inside a tumour with a little magnifying glass and monitor the movement of cells and the integrity of DNA; we would see a much more chaotic situation. b) As a cancer develops and grows, the DNA that guides it along is prone to change…. as a cancer grows, its genetic makeup becomes diversified, which leads to a diversity of cell types within it…. cancer is not a collection of identical cells. The reason is that every cancer, whether it arises in the lung, breast, prostate, bone marrow, or elsewhere, contains different populations of cells that have distinct properties. d) A cancerous tumour does not contain billions of identical clones. Cancer could never develop in this way because it must avoid the immune system’s attack on it, live in areas of low oxygen tension, and compete with the rest of the body for vital nutrients. e) Inside any tumour are cells that are living and cells that have died. There are cancer cells capable of reproducing many others, called cancer stem cells, and cells completely devoid of this capacity. Cancer’s diversity is generated early. By the time it is diagnosed, some cells may already be capable of metastasizing and others may be able to withstand a particular cancer treatment. This is the basis of cancer’s resistance to treatment i.e. chemotherapy (see section “Why Do Cancer Treatments Sometimes Fail?”). (a) Drug resistance or the growth of cancer in the face of ongoing or recently completed treatments represents the main barrier to cure for many cancers…. (page 188). In many instances, oncologists cannot specify why a person’s cancer develops treatment resistance…. treatment resistance is probably the most complicated area of oncology. (page 189). (e) Several types of cancer have been found to contain a very small population of cancer stem cells, which are believed to be responsible for continually replenishing the pool of cells in a tumour. It turns out that an additional property of these cancer stem cells is their natural resistance to chemotherapy and other cancer treatment. (f) Some chemotherapy drugs (as well as radiation therapy) may contribute to (or directly cause) the development of new cancers many years after treatment (page 174). And it has been known for decades that chemotherapy alone cannot eradicate the advanced stages of the most common cancers (page 175). The current hot trend is to offer targeted drugs like Erbitux (for colorectal, head and neck cancers), Rituxan (for lymphoma), Herceptin (for breast cancer), Tarceva(for lung cancer), Sutent (for kidney cancer) and etc. Once in the bloodstream, they act like heat-seeking missiles, locating cancer cells wherever they lurk and gripping onto them via one specific receptor target (among thousands of receptors) that projects from the outer surface of the cells. The result is that the receptors stop transmitting growth signals inside the cells (page 177). (a) Are targeted therapies “magic bullets”? (b) Do targeted therapies cause side effects? THE FOLLOWING ARE SOME WORDS OF ADVICE BY DR FRANK ON NUTRITION, pages 102-110.
b) A large and ever-growing number of studies indicate…..cancers are highly influenced by one’s pattern for living: a diet high in red meat and animal fats and low in fruits and vegetables…contributes an unhealthy pattern for living that often leads to major illness. (iv) ”over-nutrition” or excess body weight. (ii) The increased production of estrogen.